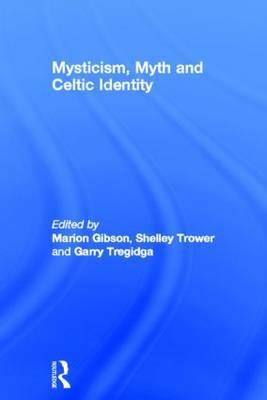 Mysticism, Myth and Celtic Identity explores how the mythical and mystical past informs national imaginations. Building on notions of invented tradition and myths of the nation, it looks at the power of narrative and fiction to shape identity, with particular reference to the British and Celtic contexts. The authors consider how aspects of the past are reinterpreted or reimagined in a variety of ways to give coherence to desired national groupings, or groups aspiring to nationhood and its `defence'. The coverage is unusually broad in its historical sweep, dealing with work from prehistory to the contemporary, with a particular emphasis on the period from the eighteenth century to the present. The subject matter includes notions of ancient deities, Druids, Celticity, the archaeological remains of pagan religions, traditional folk tales, racial and religious myths and ethnic politics, and the different types of returns and hauntings that can recycle these ideas in culture. Innovative and interdisciplinary, the scholarship in Mysticism, Myth and Celtic Identity is mainly literary but also geographical and historical and draws on religious studies, politics and the social sciences. Thus the collection offers a stimulatingly broad number of new viewpoints on a matter of great topical relevance: national identity and the politicization of its myths.